For eleven years, the ‘Friends of Partagás’ Meetings have been the landmark event for light cigars fans. This year, the 12th Meeting was developed in Matelica, Italy, from July 5th to 8th. These events are celebrated by the Corporation ‘Cuba Ron S.A’ as if they were the organizers. That was Francesco Minetti’s opinion, president of the meeting. 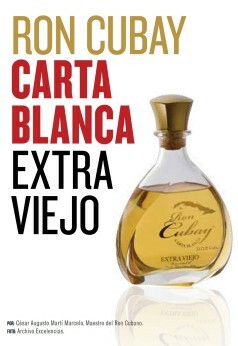 ‘Cuba Ron S.A’ seized this opportunity to relaunch in the Italian market some of its most exclusive products: the Extra Añejos ‘Isla del tesoro’, ‘Siglo y Medio’ and ‘Cubay 1870’; and the ‘Cubay Carta Blanca Extra Viejo’ and ‘Santiago de Cuba Añejo Superior 11 Años’. However, nothing compares to the barrel of rum ‘Santiago de Cuba 500’, which was brought in 2016, Minetti added. There were 3 very relevant pairings during the event. On July 6th, the first pairing was held, between the ‘Cubay Carta Blanca Extra Viejo’ rum and the vintage cigar band ‘Sevilla Montecristo N° 3’. The next day, with the conduction of the Cuban Rum Maestro, César Martí Marcelo, participants could enjoy the second pairing, between ‘Cubay Extra Añejo 1870’ rum and ‘Hoyo de Monterrey Churchill’, from 2001, with humidors old short perfect replica ‘Ramon Allones’, regional edition 2015. The last day, they could taste the ‘Isla del Tesoro’ rum with ‘Partagás Serie D. N° 4’. Minetti, considered these pairings as “an experiment between the taste and flavor of the two more special products of the Republic of Cuba, to understand which product is best joined”. He added: “It is not easy for me to decide which products are the best; but I believe that the ‘Isla del Tesoro’, with its strength and aromas, perfectly matches the Partagás brand, which has strength and strong aromas too”. Italy is one of the markets which Cuba Ron products are starting to reach. The ‘Friends of Partagás’ Meeting is one of the events in which, since 2010, Cuban rum has been promoted. The last two years, Cuban Rum Maestros have participated in the Meetings, to educate new consumers in the taste of Cuban rum. The ‘Friends of Partagás’ Meetings are held every year, in the Italian city of Matelica. Many experts and admirers of the Cuban Cigars meet there. This event is one of the most important which take place in the old continent referred to that aromatic leaf.